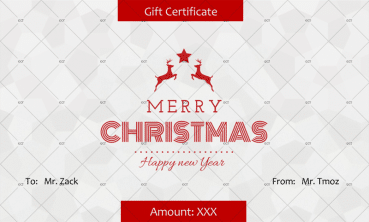 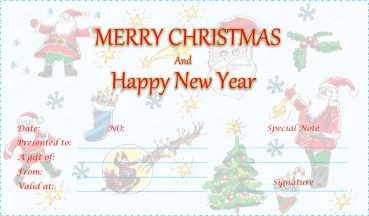 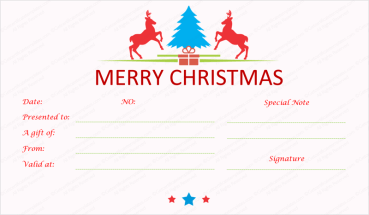 Here we have a Christmas gift certificate template that has a design that is both fun and elegant. 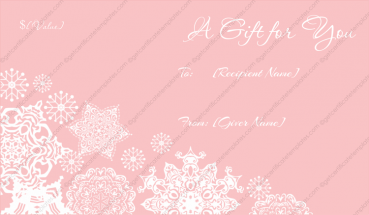 This design will manage to remind whomever it is given to that the holidays are meant as a time to enjoy themselves even as they run around putting up decorations and shopping for gifts to give to friends and family. 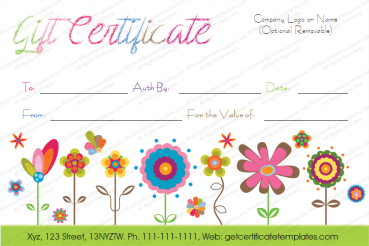 The design consists of a thin, white border running the entirety of the certificate with a red background and simplistic yet classy poinsettia flowers and holly branches in the top right and bottom left corners. 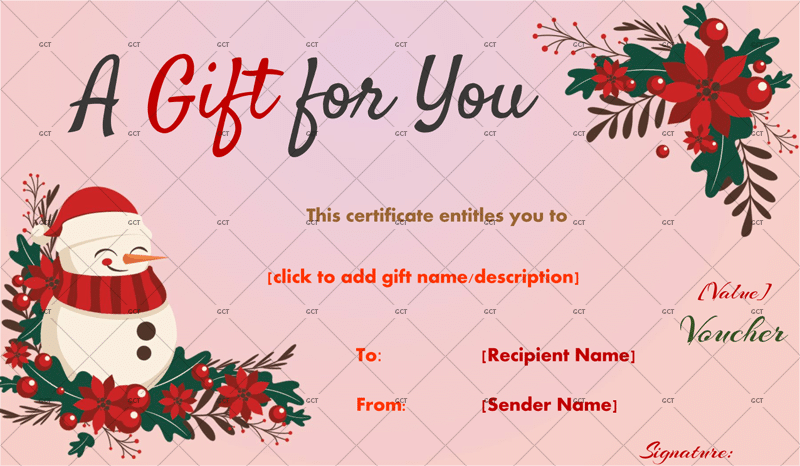 There is an also a jolly looking snowman in the left and corner sitting atop the poinsettia plants and the words ‘ A Gift For You’ stamped out at the top in red and black lettering. 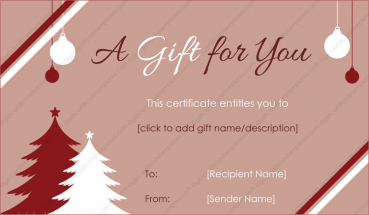 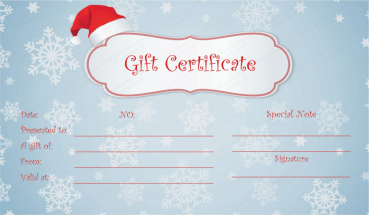 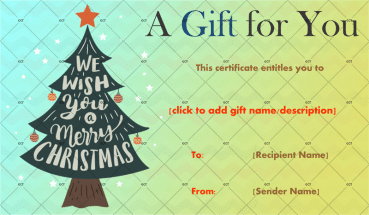 In order to gift this delightful looking Christmas gift certificate to someone simply fill out the areas where it indicates the description of the gift being given, the recipient’s name, and the name of the sender to give it to someone who could really use the holiday pick me up.